Like most cities in Alabama, Huntsville is greatly affected by the sheer volume of payday and title lenders. Located in one of the most-poverty stricken states, Huntsville residents are susceptible to the sly marketing campaigns of payday and title lenders. While research shows that most residents want more regulation on how much payday lenders can charge, lawmakers have not been able to garner enough bipartisan support to make that happen. Consumer advocates, local organizations and voters need to band together to make it clear that they don’t support payday lenders and that they want them gone from their state. Located on the north end of Alabama, Huntsville is the state’s third-largest city, with a population of 193,0791. Huntsville is home to the U.S. Space & Rocket Center® (USSRC) and the Marshall Space Flight Center. Huntsville is the proud owner of a large portion of NASA’s history, as well as a current hub of biotechnical companies. Partly because of the slew of science and tech-related jobs, Huntsville’s employment and economic figures aren’t as dire as other cities in the Yellowhammer state. Huntsville has a poverty rate of 18.2%2, unemployment rate of 2.9%3 and job growth rate of 0.54%4. The total city debt in Huntsville is $12,540,958.74 for Madison County8 with a debt per household figure of $64.959. Because of the difference in what residents of Huntsville earn and what they need to live, it’s not surprising that payday and title lenders have found a comfortable home in the Rocket City. Even when there’s a slight difference between the living wage and minimum wage, it can lead residents to being vulnerable to predatory lenders, especially if they fall on hard times. Remember, Alabama overall is still the fourth-poorest state in the country and has more payday lenders than McDonald’s locations.10 In fact, only two other states have more payday lenders overall—South Dakota and Mississippi. While proponents say payday lenders are helpful for a vulnerable population, they’re more likely to hinder economic advancement. If you can find a payday loan easier than you can find a Big Mac, something is wrong. Most of us have driven past a payday loan at some point in our life, but many of us aren’t aware how they work. A payday lender gives consumers loans based on their paycheck. You usually have to present a pay stub or proof of income in order to receive a payday loan. When you sign up for the loan, you often write a post-dated check or give the lender your bank account information so they can automatically debit you. People who take out payday loans often use them as a last resort. They’ve already maxed out their credit cards, overdrawn their bank accounts and taken salary advances at their jobs. Maybe they’ve even asked their family and friends for money or attempted to take on extra work. For them, the payday loan is often a last-ditch option. Why do people try to generally payday loans? Because they come with notoriously high interest rates. For example, in Alabama the maximum amount a person can borrow is $500 and the maximum interest rate is 456%.11 Credit card APRs are only a maximum of 36%, which is extremely high. Because the interest rates on payday loans are so high, many consumers struggle to pay them off within the allotted time frame. Most payday lenders give borrowers two to four weeks to repay them and many struggle to do so. “I felt exploited but the only thing I could do was continue to pay because I didn't have any other resources." - A Birmingham payday loan borrower. One problem with payday loans is that it creates a cycle of poverty and debt that can be almost impossible to get rid of. Sometimes it takes help from an outside source. Two of the people whose loans were paid off have implemented better savings habits to prevent them from needing payday loans again. One woman said she took out payday loans because she was struggling to pay off her credit card debt. Even though she was earning enough money to provide for herself, she relied on credit cards to buy whatever she wanted. Another man who had his payday loans taken care of borrowed the money after facing some major health problems. Even though the man was working two part-time jobs, he could not find the funds to pay off his payday loans. An earlier version of the bill that made it through the Alabama Senate would have instituted a 7% cap and would have extended the minimum payoff term to six months, giving borrowers a much longer length of time to repay. The more time a consumer has to repay a payday loan, the more likely it is they’ll avoid extra fees. When a payday loan has to be repaid within 14 days, it doesn’t give the borrower enough time to gather the funds. Every time they roll over the loan, they have to pay new fees. While payday loans are dangerous for consumers and can devastate struggling families, title loans are an arguably bigger threat. A title loan is a loan made to a consumer in exchange for giving provisional custody the car title to the lender. The maximum payday loan amount in Alabama is $500, but many people find that they need more than that to stay afloat. So they turn to title loans. Most people can get at least $1,000 for their car, and some even several thousand. Unfortunately, when a title loan is made, the person is taking the risk that if they miss a payment or can’t afford to keep paying, they’ll have to surrender possession of their vehicle. According to a report from the Pew Charitable Trust14, which included borrowers from Birmingham, Houston and St. Louis, about a third of people who took out title loans only owned one car. For them, losing access to that vehicle could leave them without a way to get to work or take their children to school. It can lead to them losing their job, their apartment or becoming homeless. Title loan companies are prevalent in Huntsville, where they do about $357 million15 worth of business a year or 152,54416 transactions in 672 title loan stores. The average loan size is more than $1,000 and the monthly interest rate is 25% or more than 300% APR. One of the most disturbing features of title loans in Alabama is that the lender is allowed to repossess the vehicle, sell it and keep all the profits, even if it’s more than what the borrower owes. Alabama is only one of two states with this rule and it’s one that makes title loans even more profitable for lenders, to the detriment of honest consumers. Another distinction that the Yellowhammer State has is that it leads the country in title-loan outlets.17 This is even more shocking when you consider that only 16 states in the country allow title loans, specifically because of their predatory nature. Nationally, one in five title loan borrowers lose their cars. - Frances Beck, Huntsville title loan borrower. While many people assume that anyone who takes out a title loan is someone who didn’t try hard enough to find another source of income, most of the time, borrowers are just ordinary folks trying to make ends meet. When they take out a title or payday loan, they often don’t realize what they’re signing up for. That’s what happened to Frances Beck,18 a single mother and college student trying to finish up her degree. While she was working to support herself, her college required that she take an unpaid internship to fulfill the requirements of her degree. Unfortunately, she didn’t have enough money left to pay her bills. So she went to a title lender who gave her $3,200 for her vehicle, a huge sum for Beck. Unfortunately, she quickly discovered that her payments were all going toward interest and she couldn’t afford to repay the loan in full. She had to keep rolling the loan over. She paid more than $2,000 in interest without making a dent in the $3,200 in principal. In the end, a professor of hers paid off the sum for her and allowed her to repay him slowly. She says she was too proud to ask for help in the first place, but became desperate when it seemed like she’d never be able to repay the title lender. Now she tells other people to avoid title loans if they can and to find another outlet. Other options include borrowing funds from family or friends, taking out a personal loan from a traditional lender or taking on a temporary side hustle if possible. This story proves how one person could be doing everything possible to be a good borrower and still not be able to stay on top of their payments. “I know somebody is going to pitch a fit about it. I don't know where usury starts, but I think we're way beyond that line with 300 and 400 percent interest." The most disappointing part of the payday and title loan history in Alabama is that the state used to have strict interest rate regulation for payday lenders. In 2002, the legislature increased the maximum APR to 190% and a year later the Deferred Presentment Act changed the APR to its current rate of 456%. Since Alabama lawmakers loosened regulation on these lenders in the early 2000s, rates have increased. Many claim that without these outlets residents in Alabama would struggle to pay their bills and remain financially stable. In fact, it is because of these lenders that citizens lose their cars and find themselves trapped in a cycle of debt. While payday and title loan companies are allowed to do business in Huntsville, that doesn’t mean they always act according to the letter of the law. In the past, many companies have been reprimanded or even shut down because they were charging more money than legally allowed. Some try to enforce rules that aren’t in the contracts that consumers sign while others deliberately mislead consumers. The form requires that you detail exactly what your issue is, if you’ve complained to anyone else about this matter, if you’ve hired an attorney, and what kind of resolution you’re looking for. You should also include copies of the original contracts you signed. Do not include the originals as you may need those later. Before filing your complaint, make sure that the organization you’re reporting is licensed with the state. You can find their license information through the Bureau of Loans. After you’ve filed your complaint, you should try to reach out every couple weeks to check on the status of your case. It’s unclear how long it will take before issues are resolved. When you call one of these organizations, tell them exactly what your problem is and what you need help with. Because these are mostly nonprofits run by volunteers, it might take some time for them to reach your case. Don’t give up. As stated earlier, the median income in Huntsville is far less than the average income of the rest of the country, which plays a huge part of why so many residents find themselves taking out payday loans. The poverty rate in Huntsville is also higher than the average poverty rate in America. More data shows that, “Black or African American is the most likely racial or ethnic group to be impoverished in Huntsville, AL.”20 The effects of the Civil War and Jim Crow laws still linger in the south and especially in states like Alabama, which makes it a perfect breeding ground for payday lenders. Black or African American is the most likely racial or ethnic group to be impoverished in Huntsville, AL. Huntsville Community Development: This organization provides first time homebuyer programs as well as repair programs for people who are already homeowners. These types of programs can help people become homeowners which can increase financial stability and generational wealth, a huge problem in low-income communities. Community Action Partnership Huntsville/Madison and Limestone Counties: This local organization provides a variety of financial programs including financial literacy help, credit counseling, foreclosure avoidance, affordable housing, first-time homebuyer programs and more. They have several locations in the local area, making them easy to find no matter where you live in Huntsville. Classes are available on a regular basis and the schedule is posted on the website. Huntsville Assistance Program: This community program brings together a variety of services including rehabilitation, financial and marital. This is a religious-based organization, but you don’t necessarily need to be a church member to participate. Members on the Senate also received thousands of dollars including those on the Financial Services Committee. When a proposal to limit how much title lenders could receive after repossession came up, it had more than half the support from the House. But still, it didn’t make it out of committee. Concerned citizens should call their representatives and tell them that they want stronger regulation regarding title and payday loans. They should also write op-eds to local publications denouncing politicians who take money from these lenders while pretending to serve constituents who are harmed by their practices. When more people know about their hypocritical policies, these lawmakers will have to face the public. You know payday and title loans in Huntsvielle are a problem. But what about other cities in Alabama? Berte, Neal. “Alabama’s toxic lending problem: Who cares?” AL.com. Accessed on December 28, 2017 from http://www.al.com/opinion/index.ssf/2017/05/alabamas_toxic_lending_problem.html. Johnson, Roy. “A year after church erases payday loans, borrowers share lessons learned; more state action needed” AL.com. Accessed on December 28, 2017 http://www.al.com/opinion/index.ssf/2017/03/a_year_after_church_erases_pay.html. Cason, Mike. 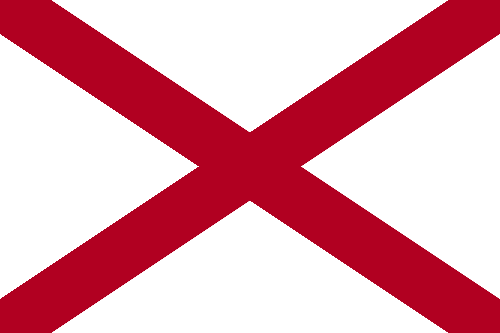 “Alabama House committee approves lighter version of payday loan reform.” AL.com. Accessed on December 28, 2017 http://www.al.com/news/index.ssf/2016/04/alabama_house_committee_approv_7.html. Izor, Chris. “VIEWPOINTS: Alabama leads nation in car-title loan outlets.” Blog.AL.com. Accessed on December 28, 2017 http://blog.al.com/birmingham-news-commentary/2012/09/viewpoints_alabama_leads_natio.html.